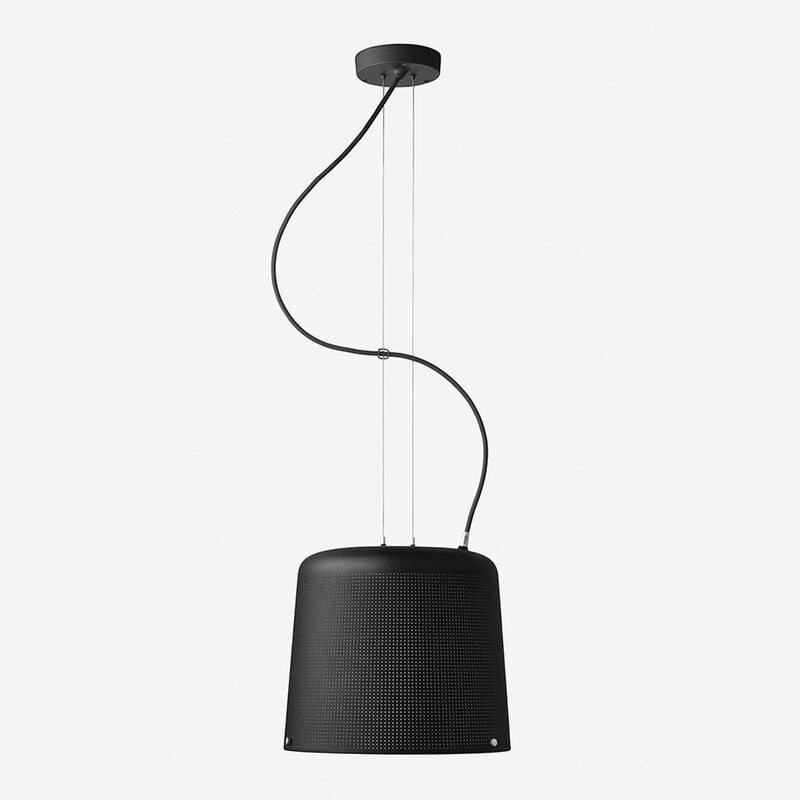 This Vipp pendant is the smaller sized version of the two pendants, for the kitchen or the dining room. 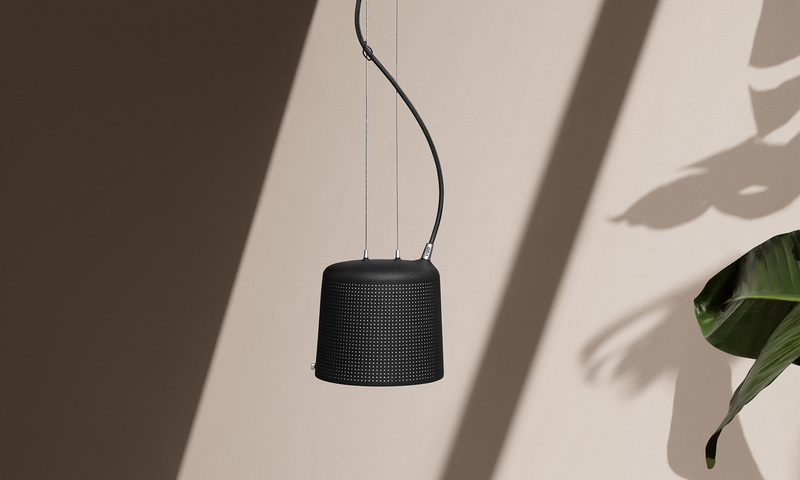 The small-sized pendant has a perforated lamp shade and matte glass for a balanced diffusion of light, ideal above kitchen modules or the dining table. 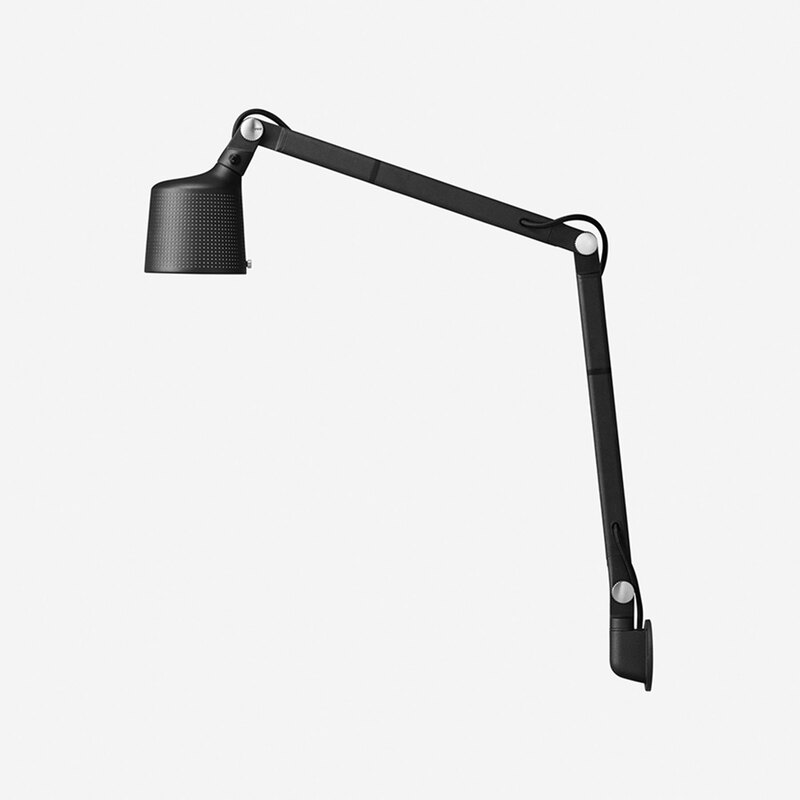 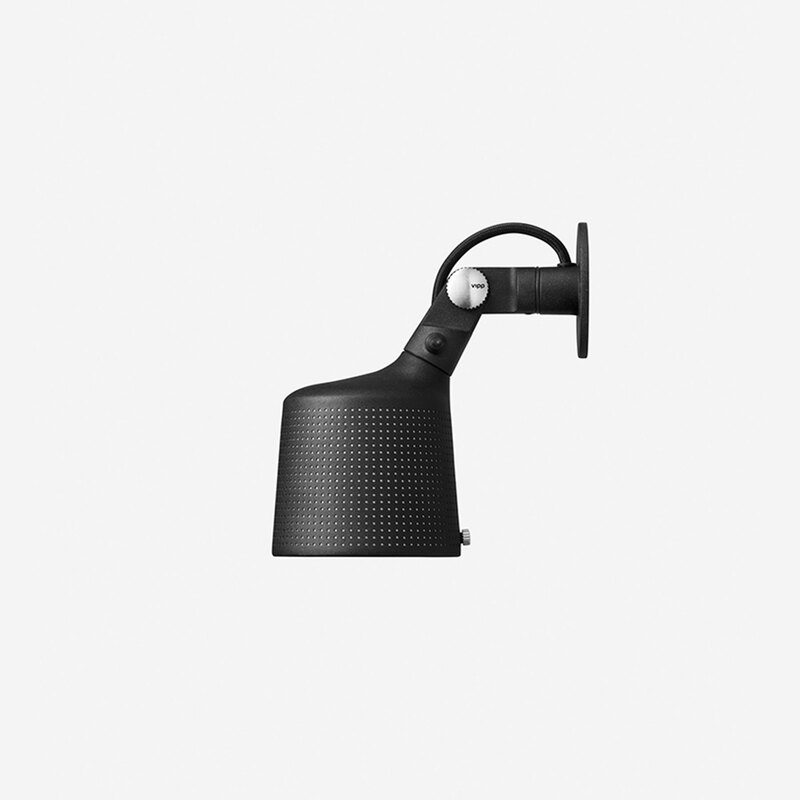 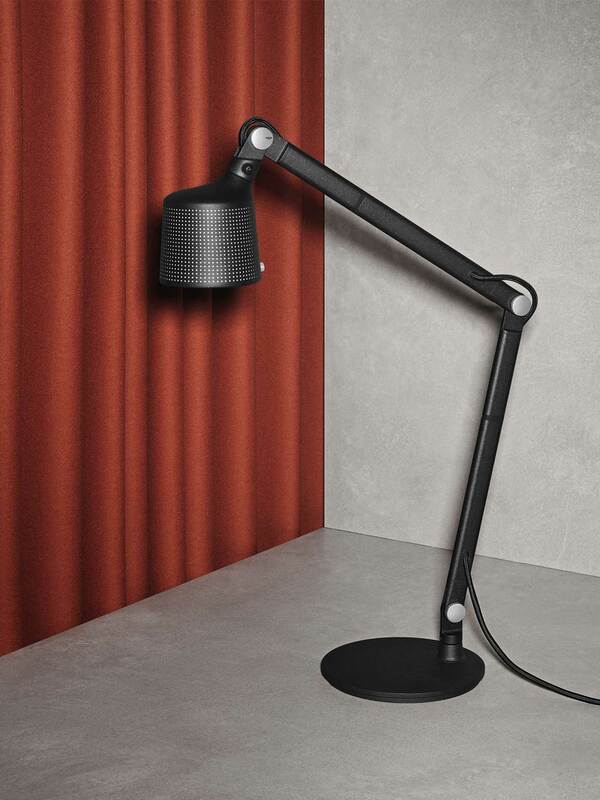 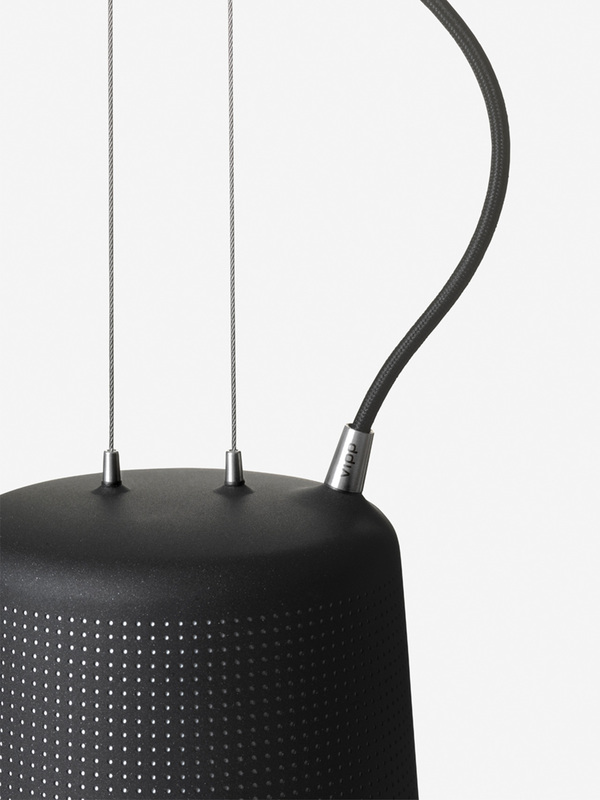 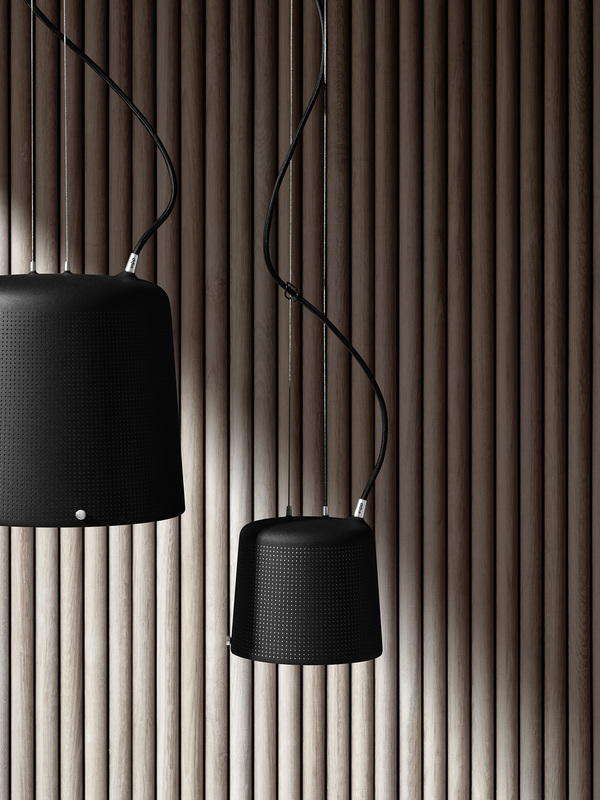 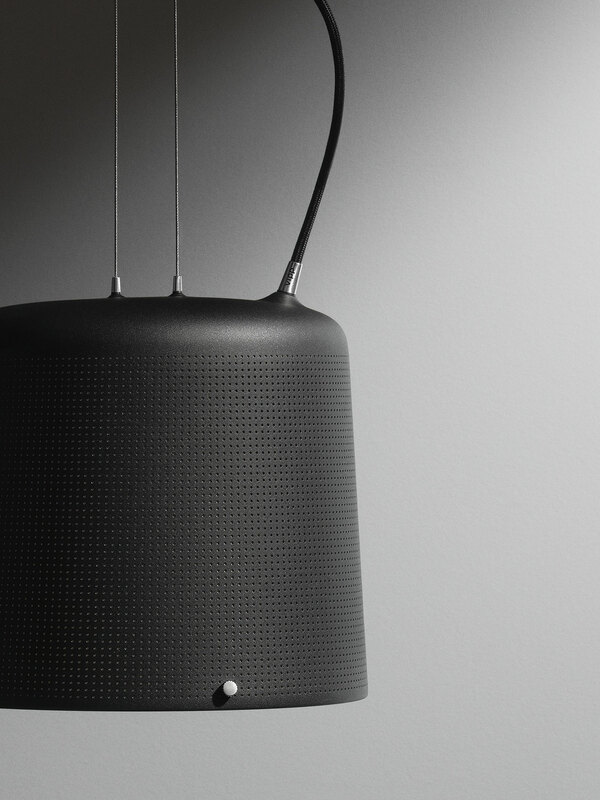 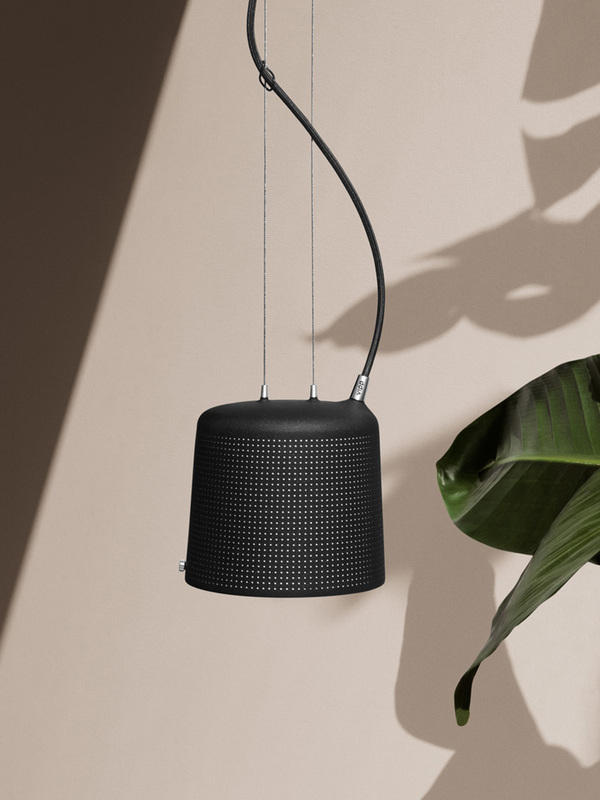 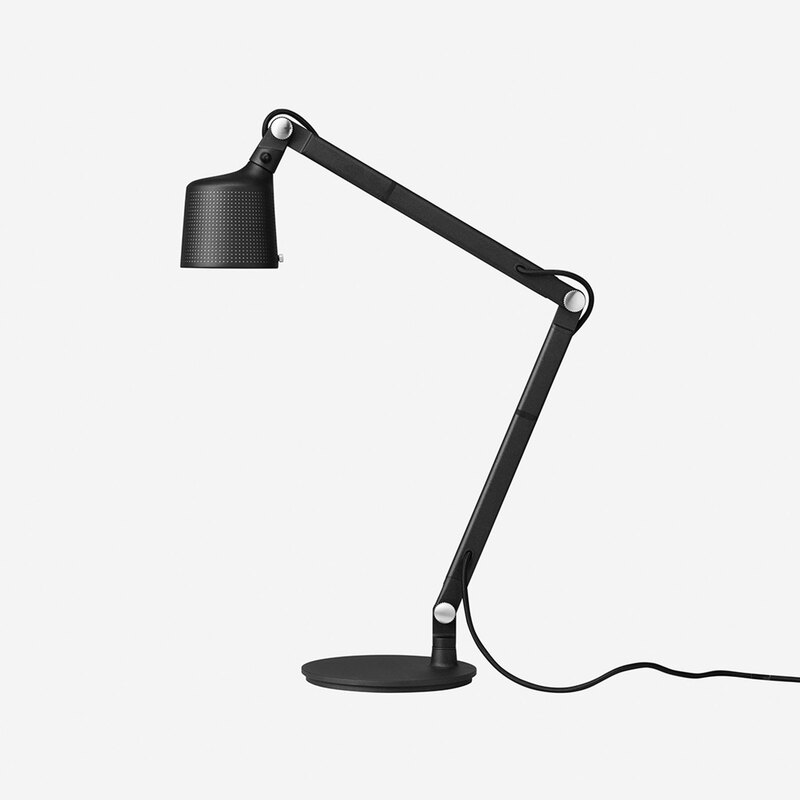 Moving against the trend of fixed light sources, the easily accessible height adjustment of the Vipp small pendant supports the adaptation to your surroundings and everyday use. 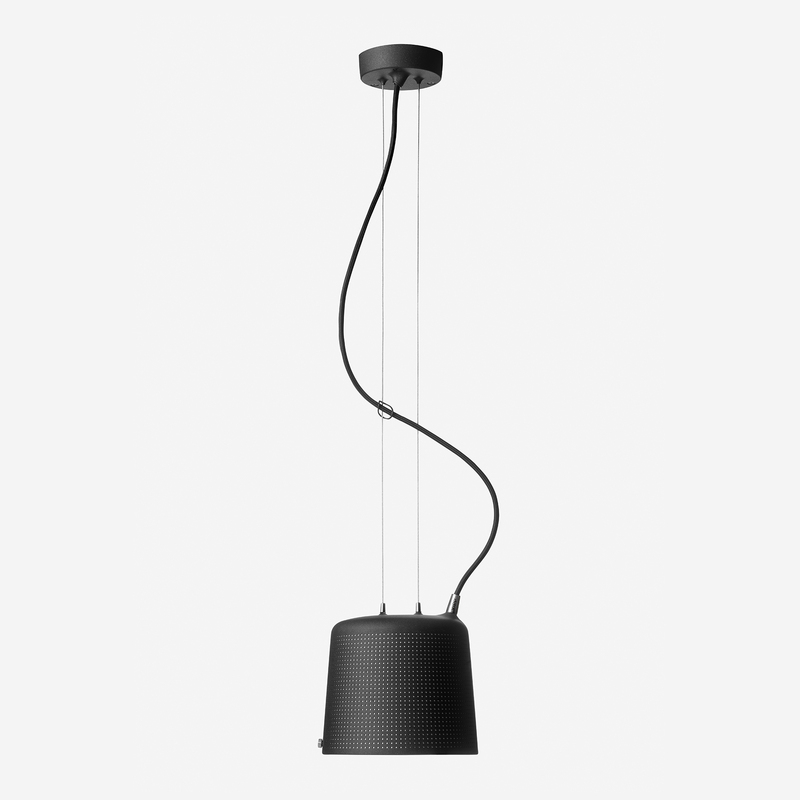 Although half the size of the large Vipp pendant, the design and construction of the small pendant is identical with original version. 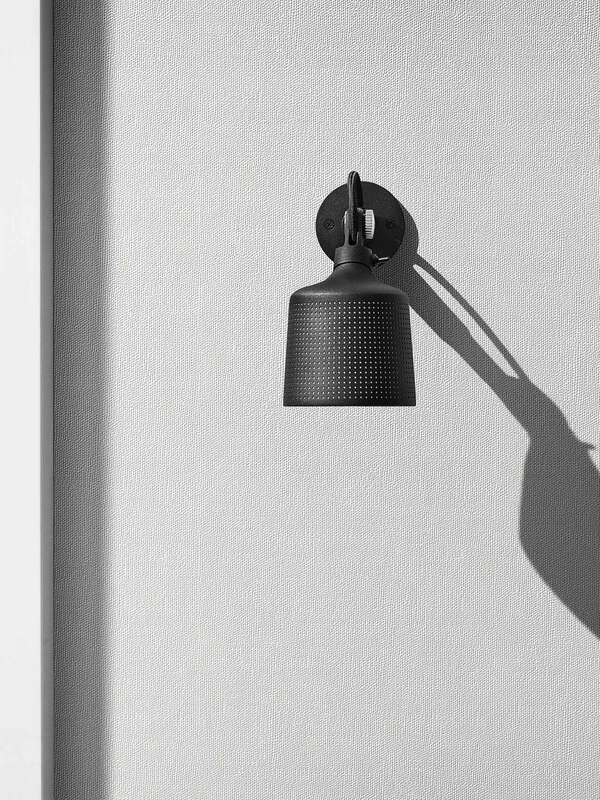 Organically shaped from industrial materials, the perforated lamp shade allows endless rays of light to shine through the dark surface. 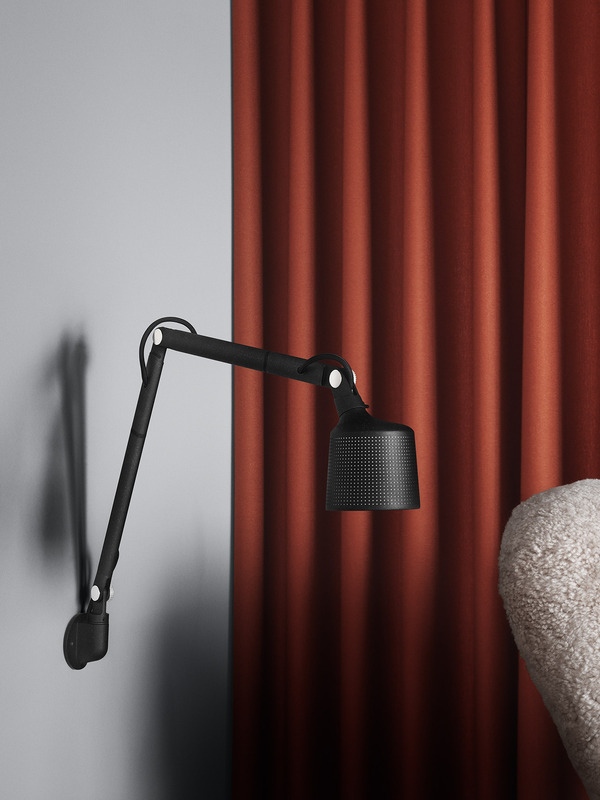 Organically-shaped details bring softness to masculine materials.